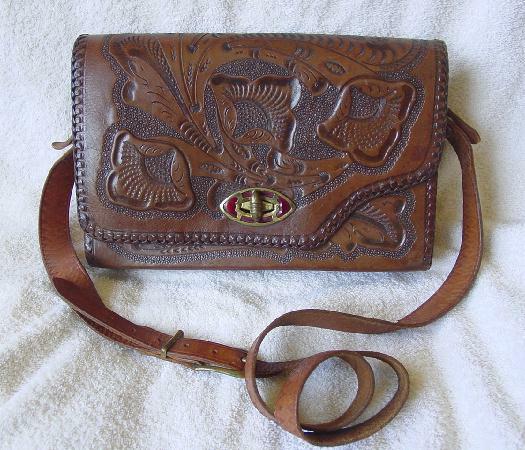 This reversible handtooled genuine leather purse is by Gomez Bags. The exterior on one side is a multi-tone brown and the other side is a light caramel with darker accents. The interior of the darker side has a dark front with 2 snapped areas. The larger one will hold dollar bills. 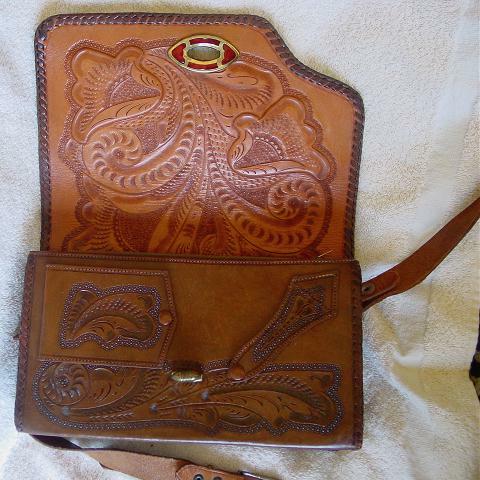 The darker side of the purse has a center zippered section with a large open section on each side of it. 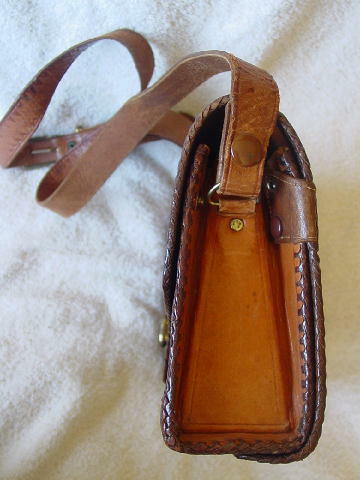 The lighter backside of the purse has a change purse on one side and under the larger flap is a mirror. 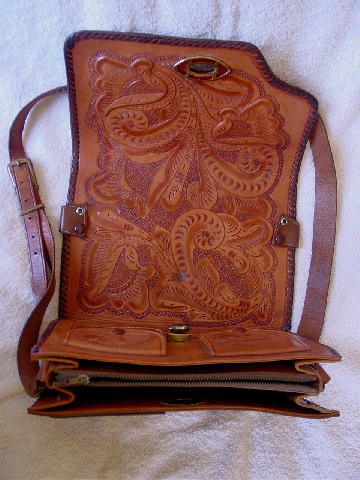 There is a small leather tab (2-sided) on each side with snaps so whichever color you want the purse to be at that time, the interior can be snapped in place. 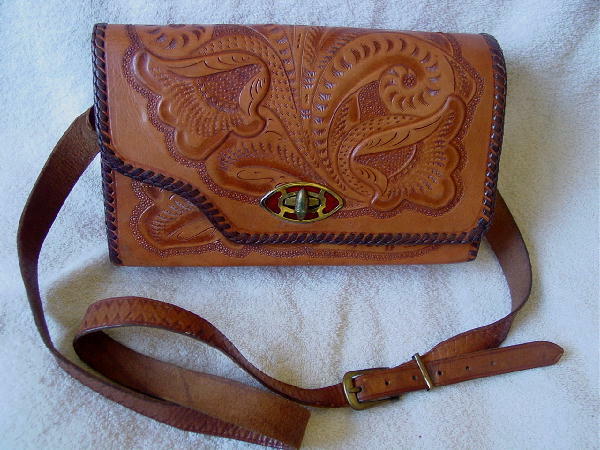 It has a 46" by 3/4" adjustable shoulder strap - a sort of cross between the two colors. It has an identical slot and turn closure on both sides. The edges are all finished with leather woven strips. The mark in the center (lighter side) is from the metal closure rubbing. 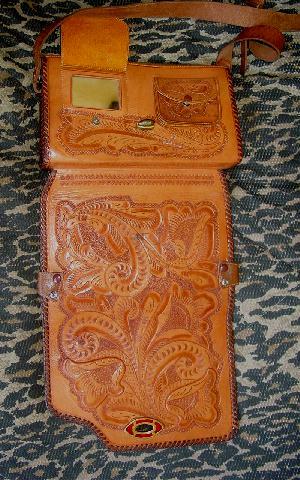 It has beautiful workmanship and detailing. 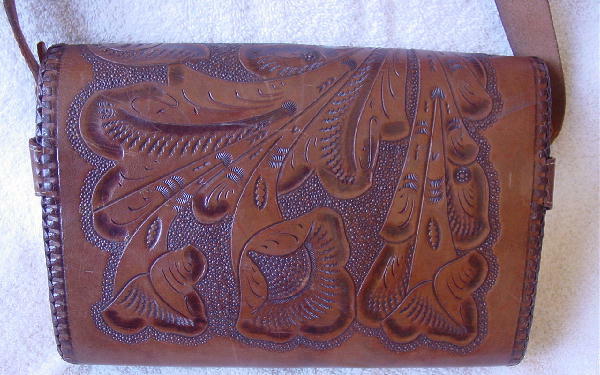 The hand tooling is very intricate and the elevated flowers are a nice touch.